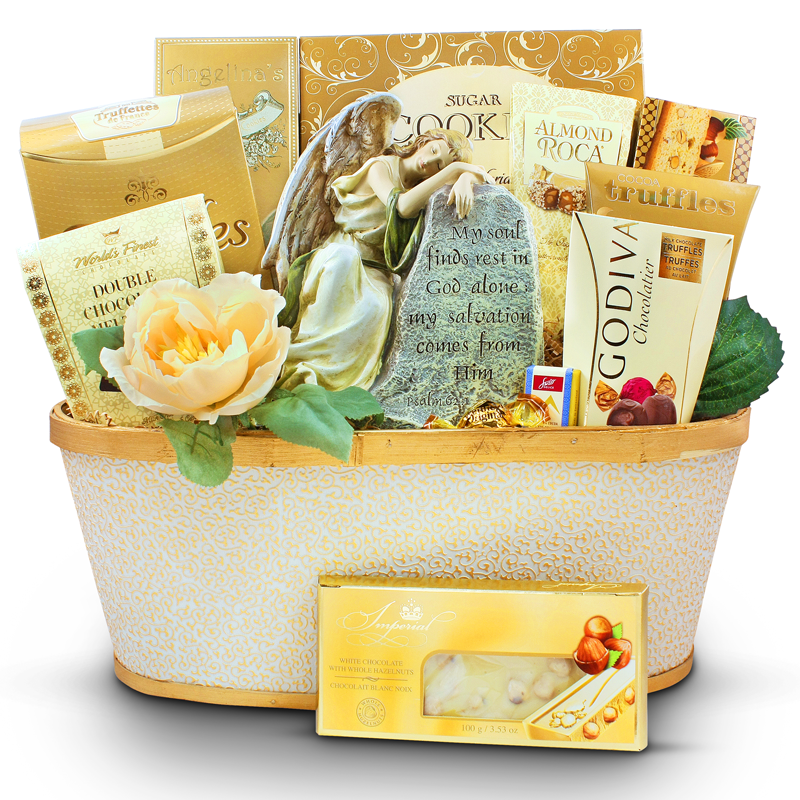 Convey your special greetings with a lavishing Golden Greetings gift basket this year and amaze the recipient with its stunning golden look & amazing components lined up here. Dazzle clients, astonish colleagues, and strengthen business relationships with this top selling gift. 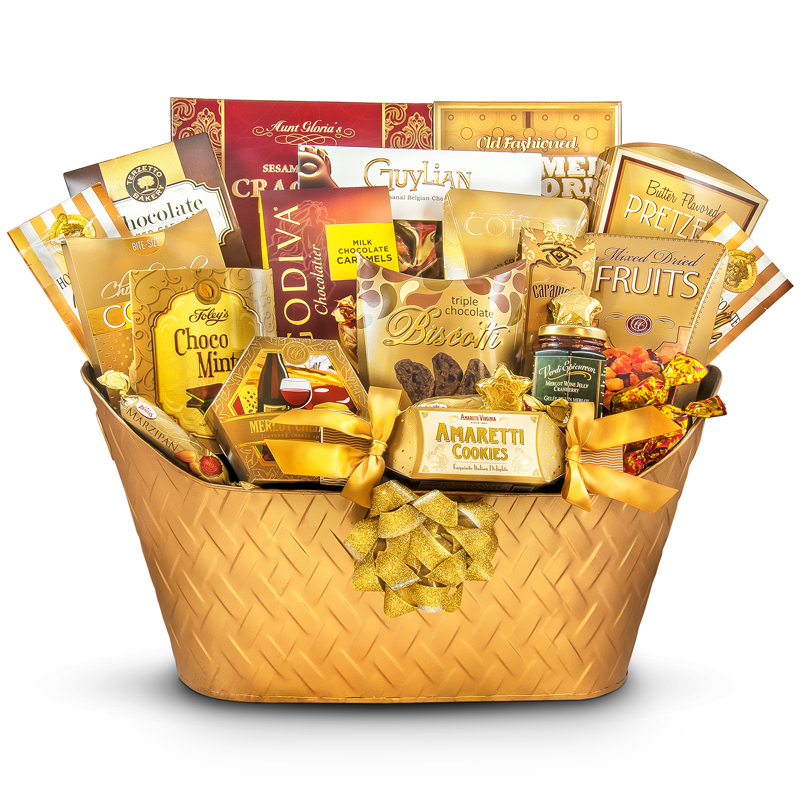 Earning glowing reviews from customers time and again, this large golden metal container holds an admirable assortment of gourmet foods and premium sweets. 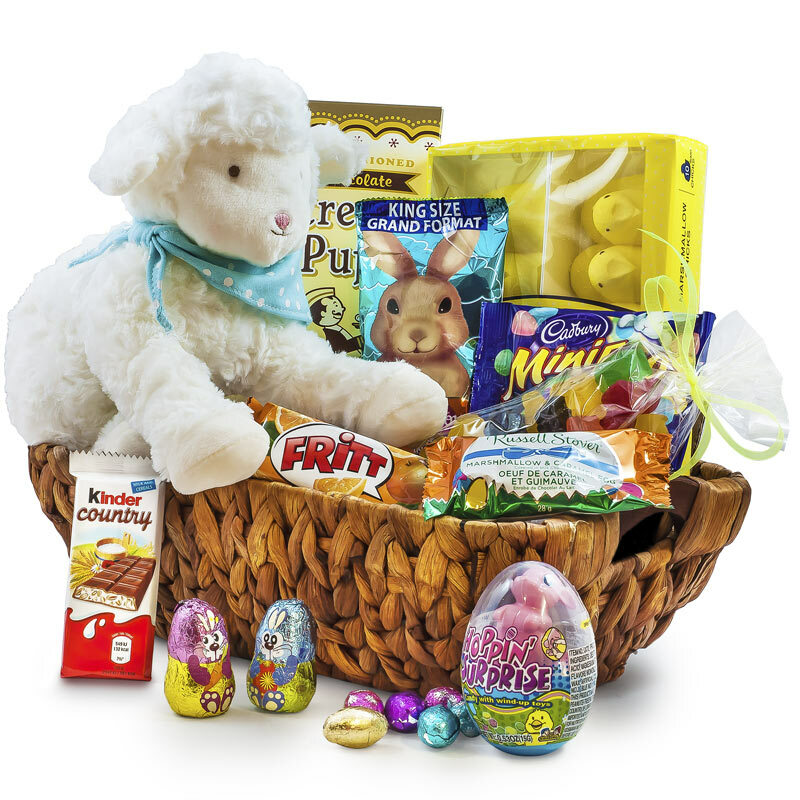 Each gourmet item is carefully assembled, and the gift is highlighted with a hand-tied satin ribbon. A complimentary designer card with your personal message or greeting is included. Send your best appreciation in this lavishing big golden metal container with the most holiday treats of the season. 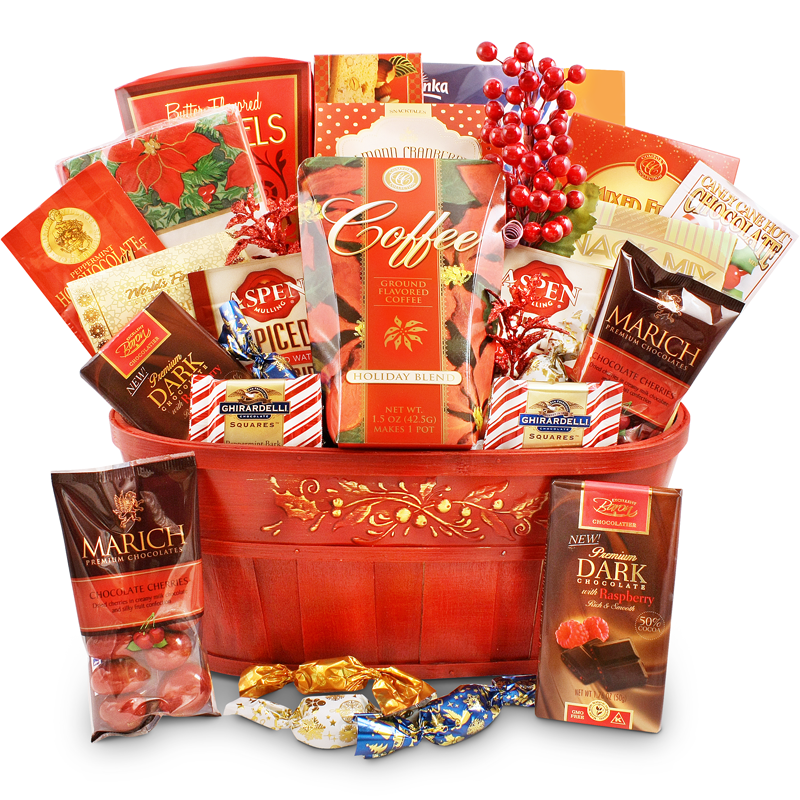 A gourmet treat to your most valued customers, a very Merry Christmas wish to your family, or a Happy New Years wish to loved ones from far. All your most thoughtful wishes would come in glowing festive presentation. So open up that large box of Guylian chocolates, share some of the treats, as you enjoy your favorite beverage and bring in the 2016. 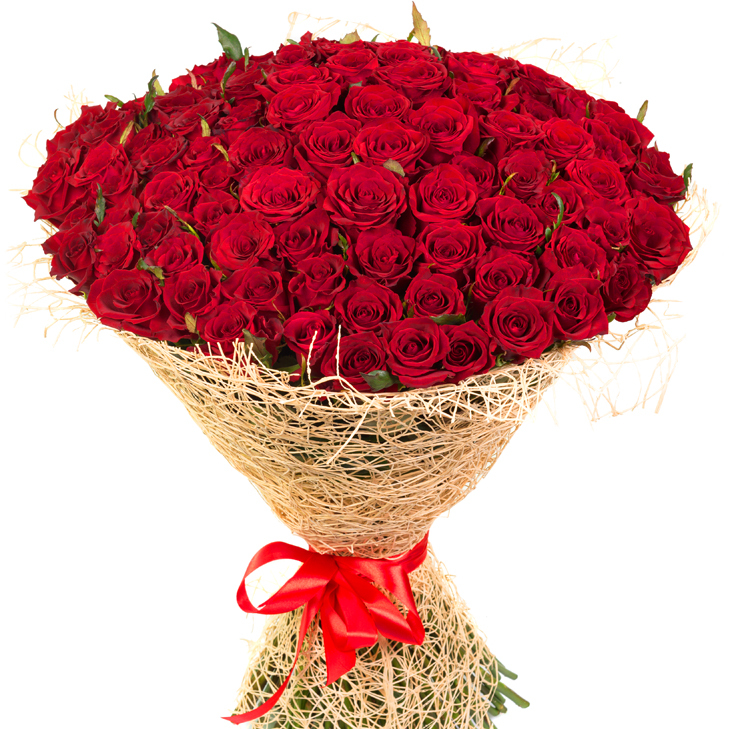 This year was great, with sending Golden Greeting Lavishing Holiday Package the year 2016 will be even better! We wish a very Merry Christmas, Happy Holidays and Happy New Years to everyone! See you all in 2016!